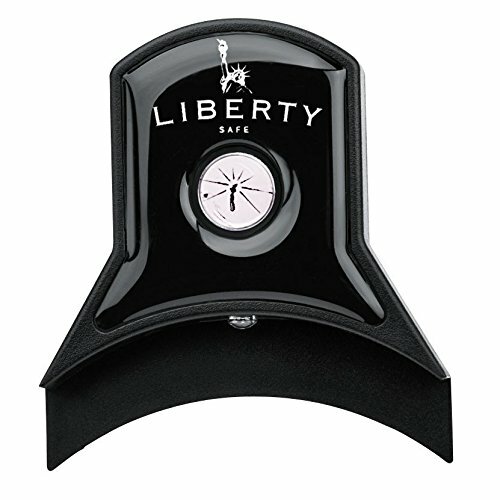 Liberty Mechanical Dial Lock Security Safe Light 10929 Magnetic Gun Safe Accessory by Liberty at Practical Tactical Podcast. MPN: 10929. Hurry! Limited time offer. Offer valid only while supplies last. Imagine you hear something in the middle of the night. You need to get in your safe quick without letting anybody else know what you you're doing. Imagine you hear something in the middle of the night. You need to get in your safe quick without letting anybody else know what you you're doing. You can't turn on a light because it will give your position away, but it's too dark to see the combination on your safe. What do you do? This is exactly what our friends over at Liberty were thinking when they developed the Mechanical Dial Lock Safe Light. They attach magnetically to the outside of your safe, as long as its steel. You simply push the button and a little red light turns on that illuminates the lock. Since it's removable, you can also use it as a flashlight to view the contents of the inside of your safe as well. Very Stealthy, Very Cool. If you need to be able to see your lock in the dark, then this Liberty Combiation Dial Lock Safe Light is perfect for you.